"GOD IN THE DETAILS: THE BIRTH STORY OF JOHN WOLF"
This story is the story of John Nestor Wolf and the day he arrived in the world. This is his story, our story, but it’s your story too. And ultimately, it’s God’s story—the one where new life is birthed from near death, where hope overflows from broken vessels. We are still pondering this profound revelation in our hearts as we hold him in our arms. In the moments of the miraculous, God takes our faces in his hands, and invites us to look into his eyes, to see him as if for the first time. Yet it is in the telling and the re-telling of those moments, to ourselves, to our children and their children, to the world, that we begin to not only see God but to remember Him. And in that remembrance, a new hope is birthed in us that calls us through the night until we find ourselves face to face with Him once again. John’s due date was July 9, though he was scheduled to come into this world via C-section on July 2—a welcomed gift to his plan-loving parents. Though the recovery from what would be Katherine’s 12th surgery would likely be very intense as she disproportionately uses her ab muscles to walk, given her many brain issues, the C-section seemed a more prudent path than a traditional birth with all the pushing and straining. Our high-risk OB/GYN at UCLA had prepped us during the rather non-eventful pregnancy, and though we were ready, we were perhaps a bit weary at the thought of yet another surgery, yet another hospital stay, yet another unknown series of risks. Thankfully though, the reward on the other side of this one would be great and that motivated us. On the night of Thursday, June 25, James and I walked to get food for Katherine, who had been feeling especially tired. With a week until the baby would come, my internal stream of conscious checklist inexplicably bounced to baby middle names, which we had not yet settled on. Katherine’s neuro-surgeon, Dr. Nestor Gonzalez, came to mind. He had performed two life-saving brain surgeries on Katherine, without which she would not be here, not to mention, John, and last October, he had given us his blessing to try to have a baby. I searched the name “Nestor” on my phone and was amazed at the different possible meanings in Greek and Hebrew--“wise counselor”, “one who remembers”, “homecoming”, and “seeker of miracles”. I tucked this surprising information away as I grabbed our to-go order and my mind bounced to the next item of pre-baby business, feeding mama. As we all settled to bed later that night, Katherine grabbed my hand and I felt her stomach grow taut as a freshly pumped basketball. She had been having Braxton-Hicks contractions over the past few weeks, and it was hard to discern if these were any different. Yet for some reason, we felt compelled to call on old Dr. Google for some distinguishing factors to ease our minds between real and false labor. James had been several days late, so surely, there was no way this baby would be two weeks early. We had strangely been prompted to finish up many nursery and household details that very day, even getting the car seat set up and washing all the baby clothes. Nonetheless, we weren’t ready yet. We would need another week, for sure. About 5:30am Katherine woke me with a tone of voice that I had heard before but only a few other times. There was an urgency, a slightly quicker cadence in her words, and a weightiness to her breath. “Something feels different,” she said knowingly. 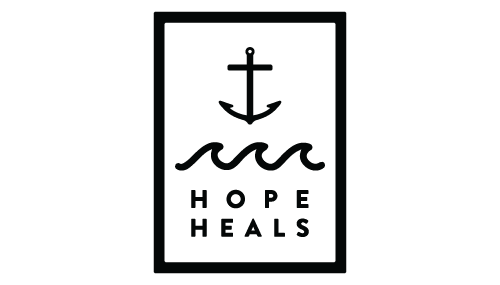 Our dear friend and Hope Heals side kick, Sonya, had recently moved next door to us with her husband, Kanoa. They quickly came to our front door, pajama-clad but wide-eyed. During the course of the pregnancy, we heard of Sonya’s expertise in child birthing, not of her own, but literally, helping assist in the home births of her sister's kids. Their calming Hawaiian sensibilities soothed the growing unrest in our house. Kanoa stayed with sleeping James, who we didn’t want to unnecessarily rouse for what may well have been a false alarm trip to the hospital, while Sonya jumped in, helping us gather a bag, the contents of which were harder and harder to logically think through as Katherine called out things like “If these are contractions, I think they are five minutes apart”. Her pain tolerance was high, but surely this was just some last rumblings of the burger and fries she downed a few hours earlier for dinner. Reality set in quickly as we were shuttled up the elevator to the Labor and Delivery hall on the 6th floor of the hospital. We were shown to a triage room where Katherine disrobed and sat on the bed awaiting her OB/GYN who just happened to be on call that morning. Another doctor quickly assessed Katherine and reported that she was in labor, dilated to 6cm, and our baby’s birthday would not be July 2, but rather, it would be that day, June 26. They also presented a last-minute, “choose-your-own-adventure” fork in the road, offering the natural delivery option instead of the planned C-section. After a momentary discussion, we decided to continue down the pre-determined C-section route, and the team left to prep for the surgery. Dana, the nurse assigned to our case that morning, was actually an acquaintance from our young marrieds group at church. She had already been assigned to do a split shift on the labor and post-partum floors that day, so amazingly, we would have her familiar face walking us through the next 12 hours of what was shaping up to be an very unexpected day. The spry Summer sun was already illuminating the waking world a few minutes before 7am, and just outside the window, I glimpsed a familiar faded red brick structure, the old hospital building where Katherine survived 16 hours of brain surgery, lay on life-support for 40 days in ICU, and picked up the broken pieces of her life in the neuro-rehab unit. To be given this vantage point, this reminder, this 8 story high ebenzer stone on this day, broke my collected composure under the sheer weight of grace, and I began to weep at the ways in which our invisible God makes Himself as plain as day, so we might remember, so we might not be afraid. Suddenly, Katherine asked, “did you hear that pop?” “No,” I said, looking around for the remnants of a stray balloon or bubble gum blowing nurse. “I think my water broke!” she excitedly stammered, patting the sheets. I better go get a professional, I thought. It was the morning shift change, so it took a minute to find the nurses. 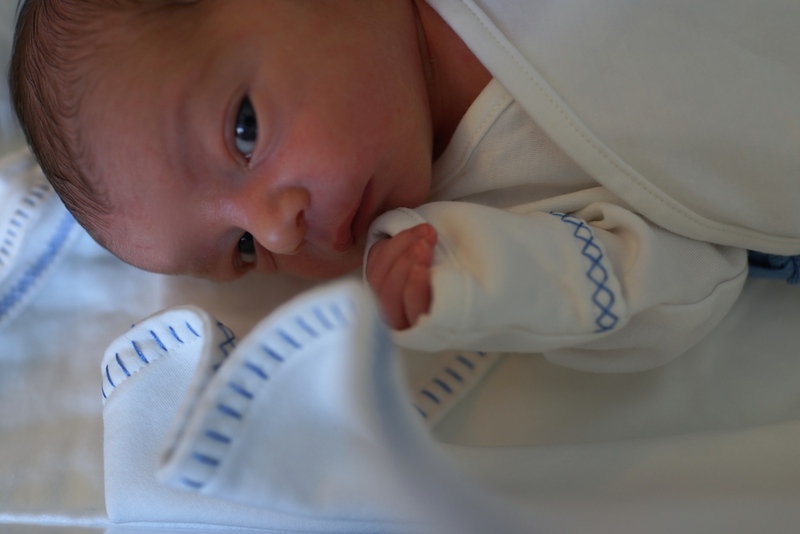 I arrived back in the room shortly after alerting the team, and no sooner did I pull back the privacy curtain than Katherine pulled back the bedsheet like it was on fire and offered me a shockingly unexpected first view of my son’s head crowning. I popped back in the hall, and yelled, “we’re gonna need everyone here, NOW!” The team scrambled in, dragging a birthing table attachment to put in the non-delivery room in which Katherine lay trying to hold in her baby. In a stunning moment, an out-of-body experience, cheek to cheek, I held my wife as her body performed its most unnaturally natural function. It seemed her years of post-stroke therapies and free pilates training had been the perfect preparation for this moment. She released her fear, released her life, as mothers always must do. With no pushing or straining, it was as if God’s hand itself gently cradled John from the womb, and in one fluid motion, he slipped from the dark to the light, from the inside to the outside of his mother's body, where he suddenly lay skin to skin on her beating chest. We both gasped at this black and white sonogram abstraction made manifest in living color, this long-awaited hope embodied in flesh and blood and cries. It was 7:07am. Seven is the number of completion. It had been seven years after the stroke, seven years into our own re-birth. One season was finished, and a new one had begun. We sat in shock and awe at what had transpired. The day before we had begun a digital call to prayer—“7 prayers for 7 days”—and it seemed the prayers had not only worked but the answers had come in a way we had never even thought to pray for but one that was better than we could have asked or imagined. Our nurse friend, Dana, helped us narrate this unbelievable series of events. “If you guys had come even 15 minutes earlier, you would have had the C-section, but if you had come in 15 minutes later, you would have your baby in the car on the 405!” She continued, “you guys also just saved yourself A LOT of money!” Katherine is on Medicare due to her disabilities, but an unfortunate confluence of health care reform factors left us in an inescapable gray area where she was not fully covered, a fate we frustratedly accepted as we looked toward an expensive C-section and recovery. Now, it seemed there would be no major hospital bills this time, a welcomed reprieve after 7 years of medical bills, 11 surgeries, and 13 different hospital specialties. One of the day’s sweetest “God winks” involved some of our dearest friends in the world, the Hensleys, who had been pregnant with their first child, our due dates only 3 weeks apart. However, it seemed both our non-conformist babies preferred their birthdays be only one day apart, born in the same hospital, recovering on the same floor, three rooms from each other. The gals only had to walk a few short feet in their hospital gowns to sit on each other’s beds, slumber party style, and hold their miracle boys, astonished at God’s goodness. John’s first day in this world included visits from his brother, James, who had wished and hoped and prayed and begged for a brother since he knew the words with which to ask. The delight, pure and lovely, poured from James’ face at the recognition of this life that was now a piece of him too. Katherine’s Mom, who was already in the air, flying in from Georgia on a plane ticket booked months ago, arrived soon after to receive this gift one day before her birthday, and Katherine’s sister, Grace, came with hot coffee and donuts from our favorite, nearby donut shop which we had frequented over the past seven years as a reward after doctors’ appointments. Then came Fil, the nurse who had painstakingly cared for Katherine, and us, in the months she spent recovering in neuro-rehab across the street. He marveled at the life that had so touched his, and his very presence reminded us just how far Katherine had come. And Dr. Gonzalez, who was scheduled to leave town later that day, came to the room and held his namesake within a few hours of his birth, as tears came to us all. His family, his children are his patients, to whom he has given his life, and now the fruits of his sacrifice lay cradled in his arms, and it reminded us that nothing we experience, nothing we give up for the sake of others is ever wasted, and in fact, it’s often in that place of loss, that concave spot in the ground, in our hearts, from which grows a new creation. We stayed the obligatory two days, long enough to remind us of Katherine’s late, doctor grandfather’s words, “a hospital’s no place for a sick person” or a healthy one for that matter. So we gathered our new family, our wolfpack, as it were, and after a good half hour of searching Youtube videos to figure out our carseat’s straps, we headed home, down the familiar road that has carried us to and from that hospital and those doctors for years now, but this time we carried with us a new baby and a new story, coalescing all the hopes and fears and doctor visits and therapies and rehabs and graces, all bundled up in an astonishingly small package of delicious new life.